Braemar Ducted Gas Heating – Sale On Now! homeSpecials and Air Conditioner SalesBraemar Ducted Gas Heating – Sale On Now! 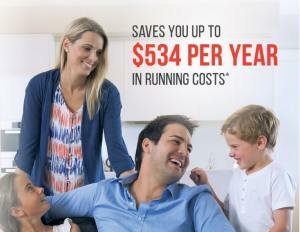 Ambience Air Ducted Gas Heating Sale – Up to $350 Cashback! Contact us and get a quote to save hundreds this month whilst stocks last and keep your family warm & cosy today! Call 1300 262 436 Now! Instant warmth – ducted gas reaches desired temperature much faster than reverse cycle. a level of service you won’t get anywhere else. It takes around 15 minutes to apply and get approved for our INTEREST FREE FINANCE so take the next step and APPLY NOW! NEW FIXED PAYMENT OPTION AVAILABLE NOW! If you want to ensure your system is paid off in your chosen Interest Free Term, choose this fixed payment option after you have finance approval your interest free finance option. *Approved Skye Mastercard applicants only. Fees, terms, conditions & minimum finance amounts apply, incl. $99 Annual Fee charged on the account open date and annually on the anniversary of that date. Annual Fee must be paid in full within 90 days or it will attract interest. 90 days Interest-Free and no repayments available on all Skye Mastercard purchases (excluding cash withdrawals). Standard Card Purchase Rate applies to any outstanding balance after the 90 day Interest-Free and no repayment period. Minimum monthly repayment may be required. Total amount payable by equal monthly instalments. If you fail to pay a fixed monthly instalment, interest, (charged at the Expired Promotional Rate) is payable on that outstanding amount. See skyecard.com.au for current interest rates. Only available at Skye retail partners. Credit provided by FlexiCards Australia Pty Ltd ABN 31 099 651 877 Australian Credit Licence number 247415. FlexiCards Australia I a subsidiary of FlexiGroup Limited. OR – PAY LESS PAY CASH – get a quote or call us on 1300 262 436 Now! Call us to save hundreds on your new comfort system with month’s special offers whilst stocks last.